Jessica Kingsley Publishers, 9781785923401, 216pp. 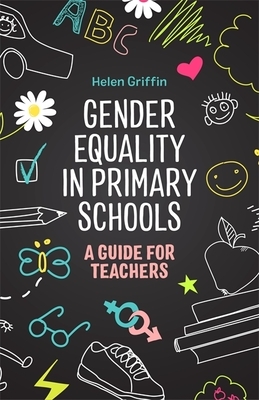 This hands-on guide supports primary teachers and other school staff in challenging gender stereotypes, and sets out advice on how to implement gender equality and respect in the curriculum, and in all areas of school life. An increase in the number of transgender children - and a recognition of gender reassignment as a protected characteristic under the 2010 Equality Act - means that all primary schools need to ensure they are safe environments respectful of all genders. This book draws on the 'Gender Respect Project', which identified the need to address gender stereotyping and gender-based violence with children and young people. The book is full of lesson plans, case studies, clear guidance and recommended actions as well as further reading and resources. Extending beyond awareness of other genders, this book provides a framework for a gender equality approach in the classroom, and empowers children to think critically about gender and to respect themselves and others. Helen Griffin is Global Education and Philosophy for Children Advisor and Joint Coordinator of the Development Education Centre South Yorkshire, and was project lead on the 'Gender Respect Project'.